It’s been awhile since I’ve eaten here, and I miss the place quite a bit. 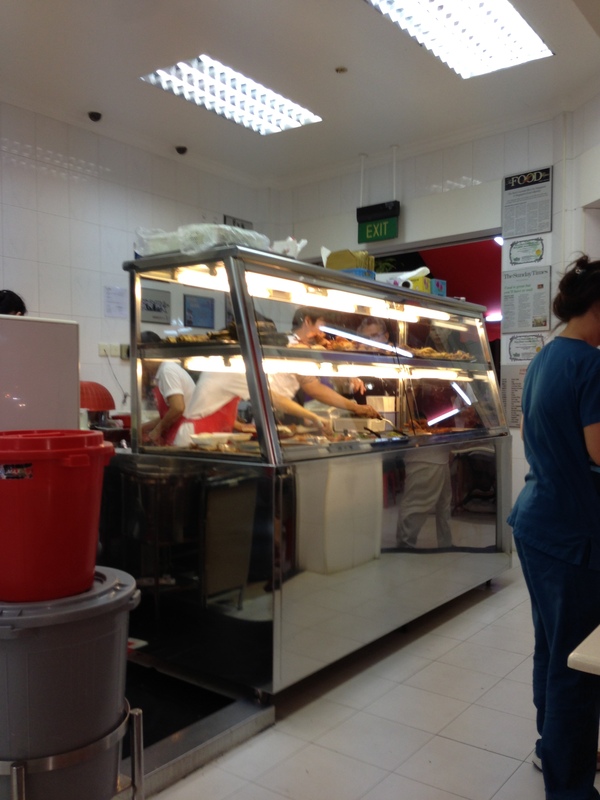 A lot of times, we just stop and get takeaway and eat at home because parking is sometimes difficult, the queue is very long, etc. But in the end, it’s all worth it. This place is one of my favorites in all of Singapore, and I will keep coming back again and again unless something drastic happens to it or me. 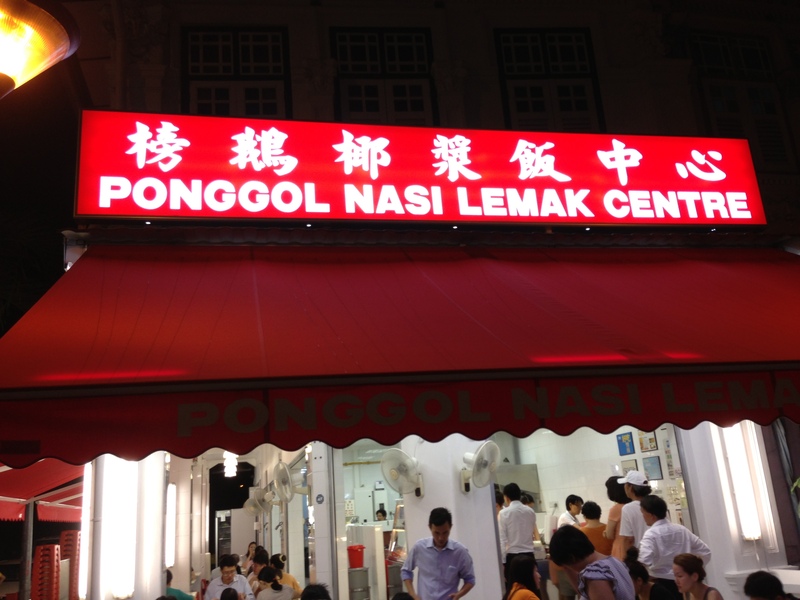 Right in the heart of Tanjong Katong on the corner, you might say that this is the signature place here. Bright red sign, you can miss it on the corner of Tanjong Katong and Parkstone. The first thing you do is queue. Then as you approach, they will ask you what you want. To make it easier, what they’re really asking is how many bowls of rice do you want and do you want to eat it here or takeaway. If you want extra rice, this your chance to ask for it as well. To make things easier if you can’t or don’t want to speak up, just use your hands and if taking away, one simple word. Use your fingers to signify how many bowls/plates you want, and then point down if you intend to eat there. If you intend to takeaway, just use your fingers to signify number of bowls/plates and then say, “Bao”. Easy right? When you reach the front of the queue, it’s your turn to choose what you want. Just point, say, whatever you want. The possibilities are endless, and it’s all about what you want on your dish. Everything is nicely laid out for you, you just point or ask. So many choices! What to get? Let’s see. 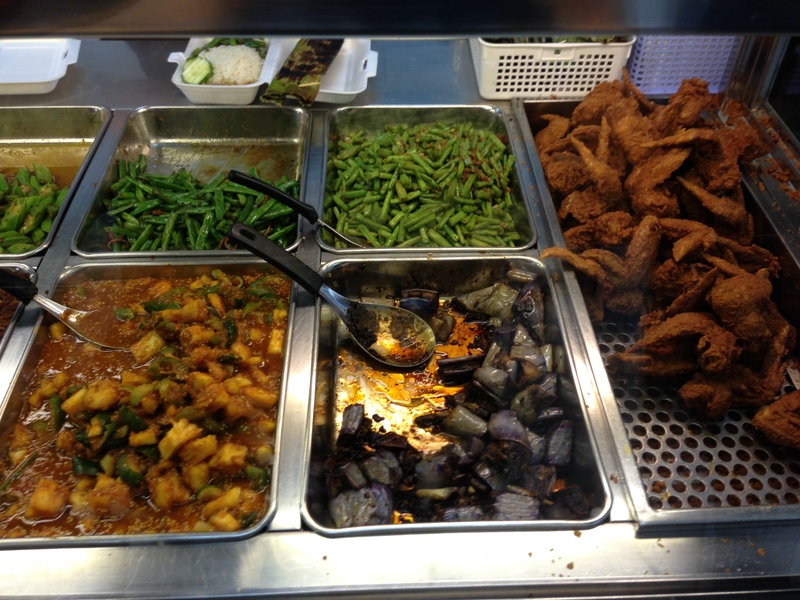 Above there are Chicken Wings (the best chicken wings in Singapore too, nicely fried and delicious), Long Beans (top c.), Eggplant/Brinjal (bottom c.), French Beans (top l.) and curried vegetables (bottom l.). 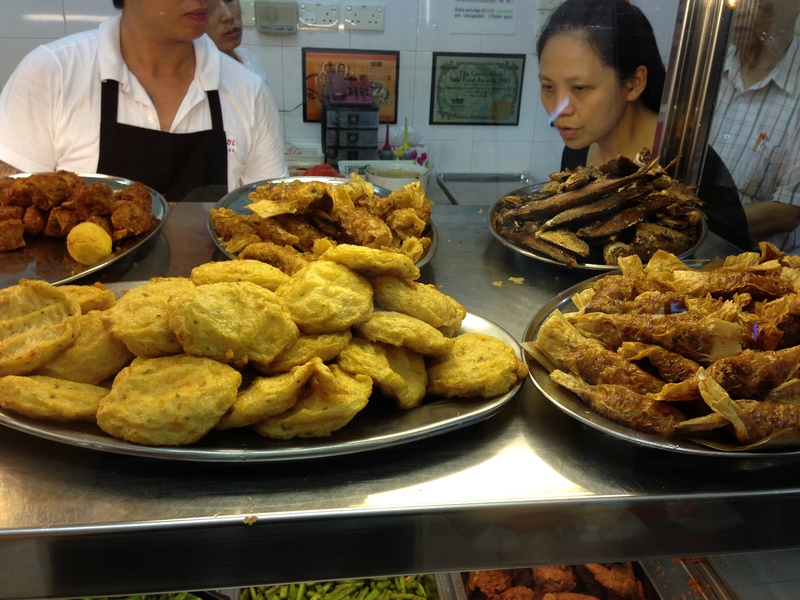 Above here we have Lady Fingers (top r.), Unidentified thing (bottom r.), Ikan Bilis with and without peanuts (next over top and bottom), Curried Cabbage (top l.) and then more beans and at the extreme left, more chicken wings. 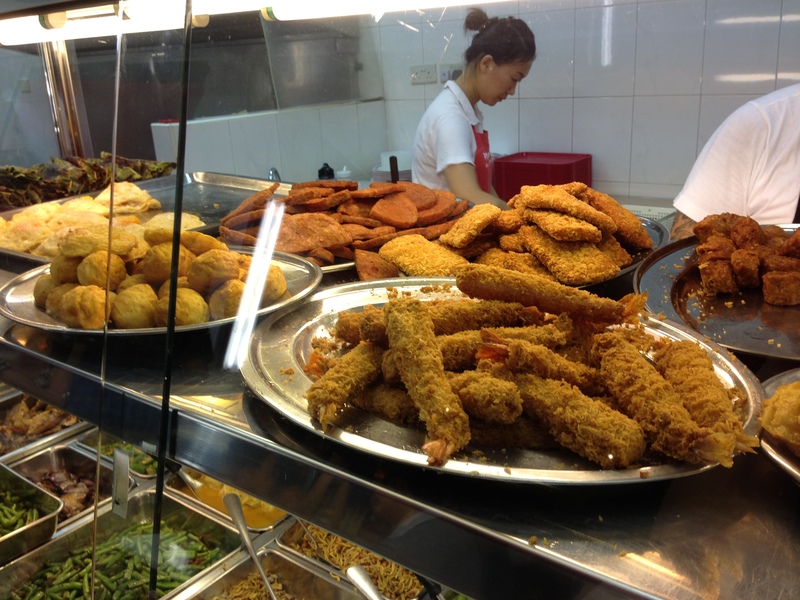 On the top shelf they have Prawn Tempura (front), Fish cake (back r.), luncheon meat (back l.) and Cuttlefish Balls (front l.) and on the extreme left fried eggs. They also have otah, which you don’t see. So what did I go for? 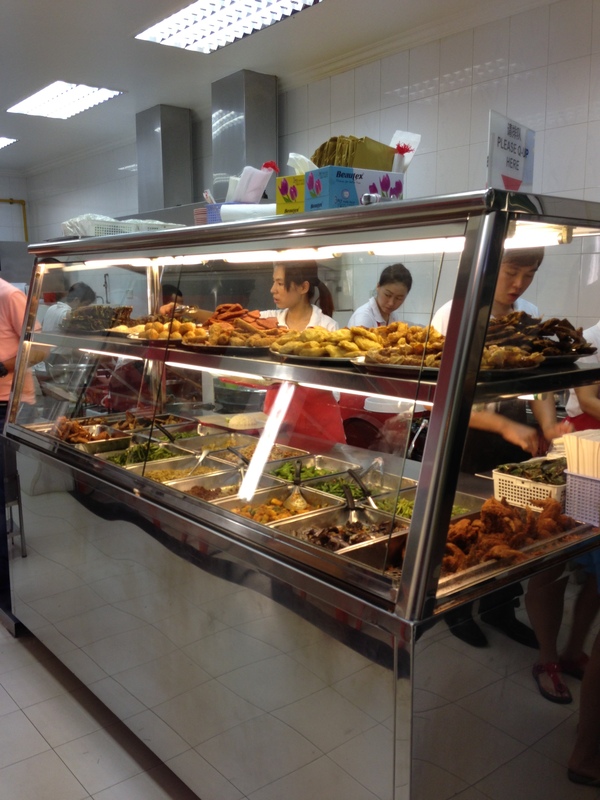 The problem here is you want everything, but if you do, your nasi lemak will cost you $20. Instead, you plan on coming back next time to try something different. Chicken Wing and French Beans are always on my list of must haves. Today, I went for the egg and some prawn tempura. They are all fresh, freshly fried. 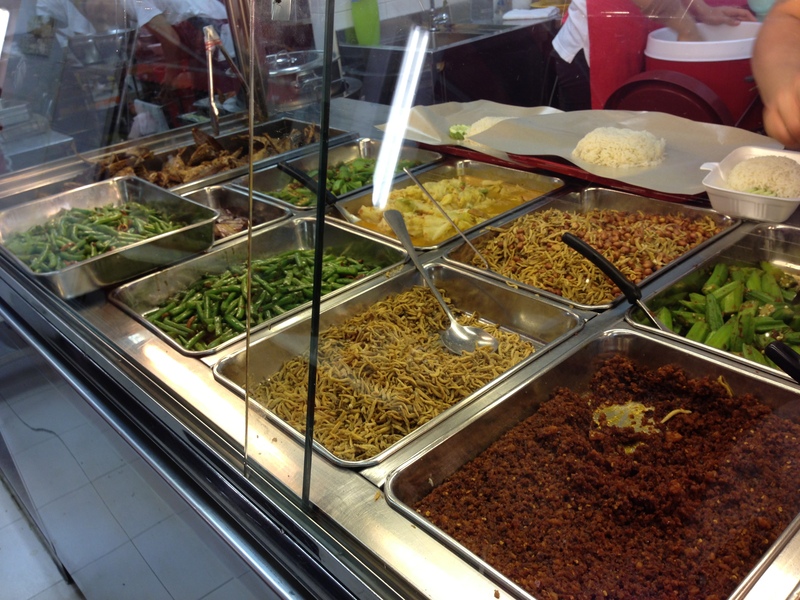 The best parts though are the rice, which is so fragrant from the pandan and coconut, and the chili. It is spicy, but not too spicy, it is just amazing. 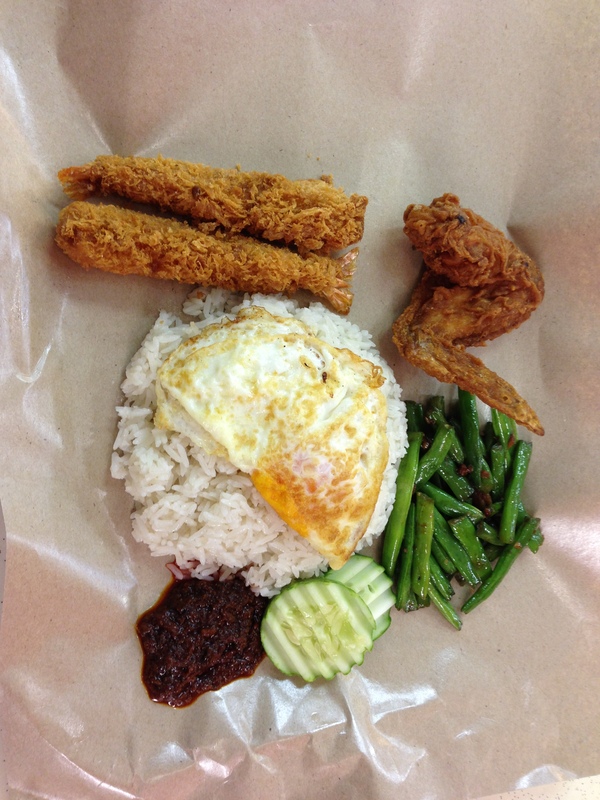 Posted in Nasi Lemak, Nasi LemakTagged Nasi LemakBookmark the permalink.